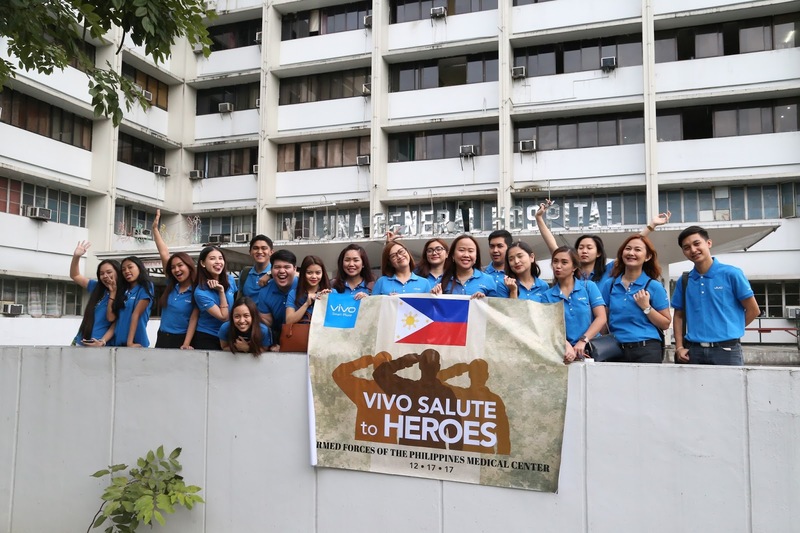 Vivo Philippines, in the true spirit of a Filipino Christmas, decides to give back to the heroic deeds of the soldiers who fought in Marawi by spending the afternoon with them last December 17 at the Armed Forces of the Philippines (AFP) Hospital in V. Luna, Quezon City. The special outreach affair was attended to by Vivo employee-volunteers who interacted with the 150 soldiers and their families and entertained them with song and dance performances. The brand’s celebrity influencers were also in attendance to give joy and encouragement to the Marawi freedom fighters. KZ Tandingan, Darren Espanto, Jason Dy, and Kisses Delavin also shared their talent in one afternoon of gratitude-giving, to the delight of the soldiers and their families. Brand Director for Vivo Philippines Annie Lim, who was also present at the affair, shared her respect for these courageous soliders. 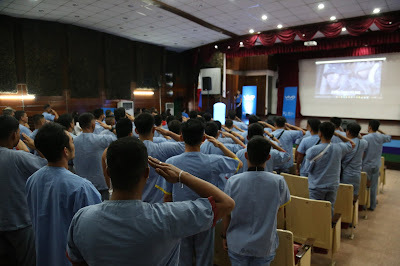 “The soldiers who fought in Marawi are more than heroes--they are also fathers, sons, brothers, friends who placed their life on the line in the name of things that matter most to every Filipino: togetherness that goes beyond religion and love that knows no boundaries.” she said. Vivo Philippines also just recently came out with a heartwarming Christmas video on the plight of a soldier who fought in Marawi and his family. Vivo, by way of the special Christmas video, shares and celebrates what a truly meaningful Christmas is for Filipinos. Family, togetherness, empathy, and the spirit of giving make a Filipino Christmas like no one else in the world.